Deadly and vicious pit bull attacks attacks on people are not uncommon; however, rarely is the incident captured on video by a bystander and then subsequently posted on the internet for the world to view. Thus, my interest peaked when I came across a video showing a man being viciously mauled by two pit bulls in New York. Plaintiff attorneys representing a dog bite victim attacked by a pit bull may find it advantageous to present to a jury a video approximating how viciously their client was attacked. This is likely to have strong emotional impact. I have seen this strategy tried in a few instances at trial, but usually the court will not allow this because of its prejudicial nature. Nonetheless, I’d like to call the reader’s attention to a video which surfaced in September 2015, which shows an extremely violent attack by two pit bulls on a middle-age man. 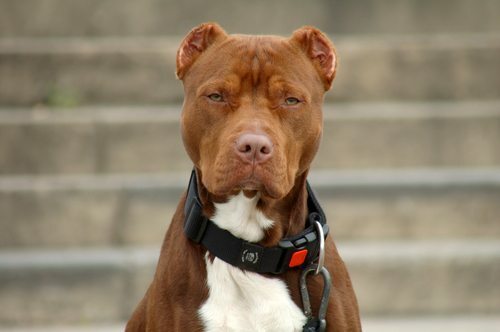 As of the date of this post the video is still online at www.cnn.com/2015/09/12/us/new-york-pit-bull-attacks. From my perspective as a dog bite expert there are features to this vicious pitbull attacks that characterize the brutal nature of some dogs, particularly pit bulls. First, note the concerted manner in which these dogs worked together as a “team”. The “pack mentality” supposedly attributed to the domestic dog appears to be operating in this instance. Second, the persistent nature of the attack by each of the dogs is remarkable. For example, vicious pitbull attacks are frequently difficult to stop. One member of this team even turned and attacked a bystander. Both of these dogs obviously were in an exceptionally heightened aggressive state, not much different from the motivational state characterizing many of the vicious attacks by police dogs on people during suspect apprehension. Third, note that after the attack started the victim was dragged by the dogs for about 20 feet. Dragging behavior occasionally happens. However, the motivational basis is not clear. Whether it relates to a dog’s predatory tendencies is uncertain, given the fact that the impetus for many dog bite attacks on people relate to a dog’s territorial tendencies, and not predatory tendencies. Animal behavior science tells us that there may be motivational overlap in these tendencies in some instances, however. On the other hand, a dog may drag a victim to move away from potential interference. I am aware of another incident of dragging an infant by a vicious German Shepherd captured on video. At the time of this posting this video is still available online. The victim in this instance obviously was very lucky to survive. Fortunately, like the bites inflicted by police dogs to people during suspect apprehension, most of the bites inflicted to the victim in this instance were to his torso and extremities and not his neck. Note that fatal dog attacks on people most often happen because of lacerations to the windpipe or insult to the jugular vein or carotid artery. Richard Polsky, PhD is a animal behavior expert located in Los Angeles, California. For over 20 years, he has successfully served attorneys , including attorneys in New York, as an animal behavior expert in dog bite litigation. More info about the background qualifications of Dr. Polsky can be found on his curriculum vitae.